Martin sold Vallances in 1987. Maybe an ex-Vallances employee will correct me, but I associate their Briggate shop as being Vallance and Davison's. I remember going to see 'Johnny Kidd and The Pirates' performing at the newly opened Vallance's record shop on New Market Street about three-years prior to when this photograph is dated. 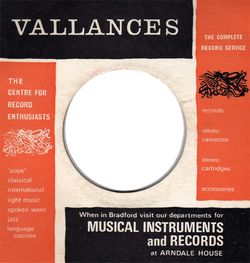 Vallance's was an institution in Leeds, it was sad to see them disappear. Comment: B Hallam. 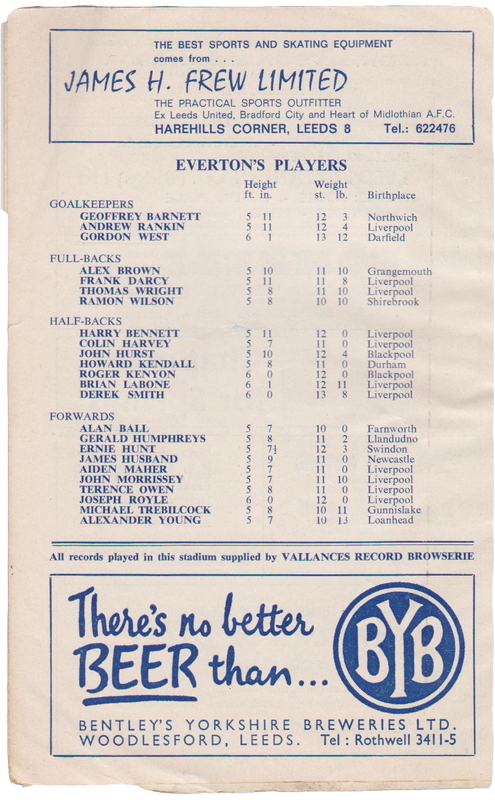 I don't remember a store on Briggate but there was certainly one on the Headrow. They were Vallance and Davison originally and also had a wholesale electrical company - Valectric - which operated from Gathorne House on Roundhay Road. Vallances on New Market Street was THE place to go, not only to buy records, but also because there was a coffee bar adjoining the record department on the first floor. This was open in 1961, and was probably very new then. There were booths where one could listen to records before choosing which to buy, and each booth had buttons to press when you wanted to listen to the B side, the same records again, or the next record. On Saturdays the place was absolutely packed. 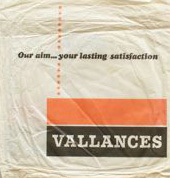 Vallances also produced a free leaflet with their own Top Ten. Comment: Chris Went. I was an apprentice radio & tv engineer at the Scunthorpe Branch, working from Fenton Street in town, they had two shops! One in high street Scunthorpe & one in ashby, enjoyed my time there! Went to college etc, can remember names such as Mr Smith, some kind of manager, and Bill Swithernbanck a delivery driver. Diddy David Hamilton from television coming to the to open or re open the Scunthorpe branch after refurbishment, there were crowds in the high street waiting to see him. Comment: Robert Hunter. Thanks for this page. I have bought a 7inch record from a charity shop in skipton. it has the original VALLANCES receipt in with it. 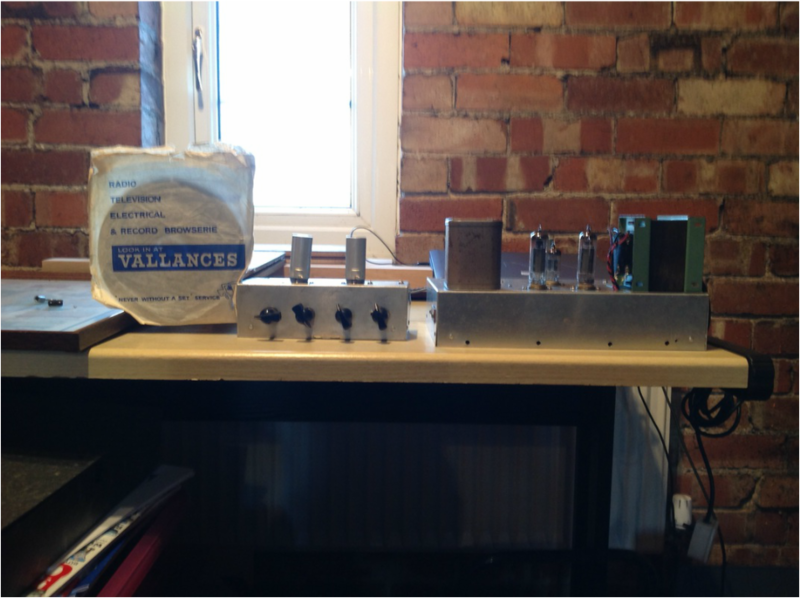 (May 17, 2014) Karen Shelbourn said:My first job,aged 16 in1980,was at Vallances electrical store on sincil street in Lincoln .I used to feel nervous when Martin Vallance and his entourage were due a visit,I wore out many dusters trying to look busy on his visits.Sodastreams and Brevilles seemed to be popular- hi tech stuff! 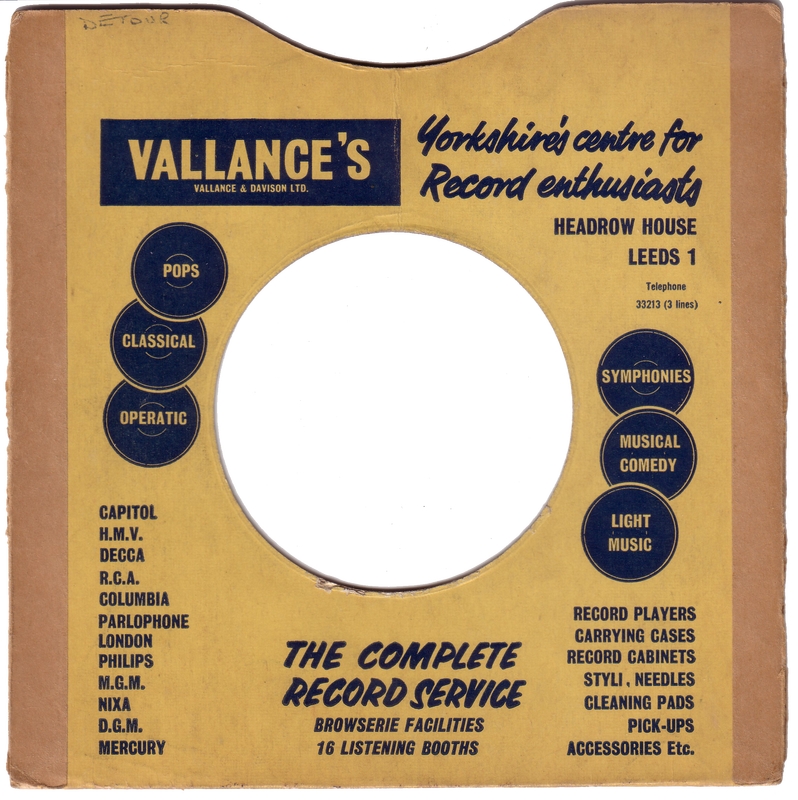 (Aug 13, 2013) Yvonne Burns said:Yes I well remember Vallances in the 1960's, those music booths where you could listen to anything you asked an assistant to play. It was the place to go in those far off days. (Jan 2, 2015) I can remember as a child being stood with my mum watching Elsie and Dennis Tanner of Coronation street fame open the New Market Street electrical store in Leeds. There were thousands of people present which halted all traffic, and I am sure it was in the early 60's. Comment: John Stockdale. (April 17, 2015) I bought my first 7" single at Vallances Otley, and my pride and joy a new stereogram still going well 43 years later owned by my sister in law, good as new. Comment: Keith Pitts. (October 06. 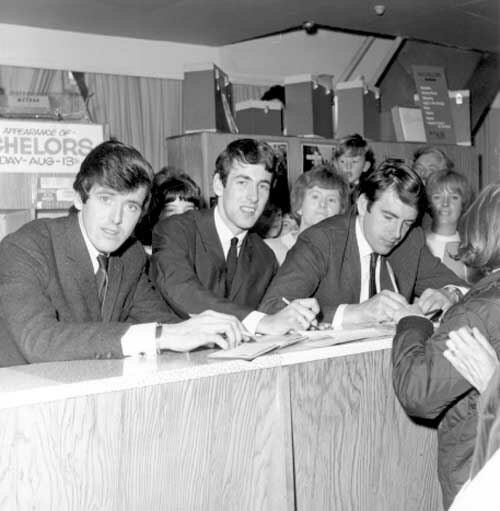 2015) My first job was in the record dept in the Headrow Leeds 1965 It was the best job ever! Lenny Lyons was our manager, Music was my life ( and always will be!) picking the hits was a big part of my job, playing all the new releases to dj's going to loads of clubs and concerts, the Beatles era was unbelievable we used to bag records up ready for the queues of fans waiting outside for the shop to open to buy them. 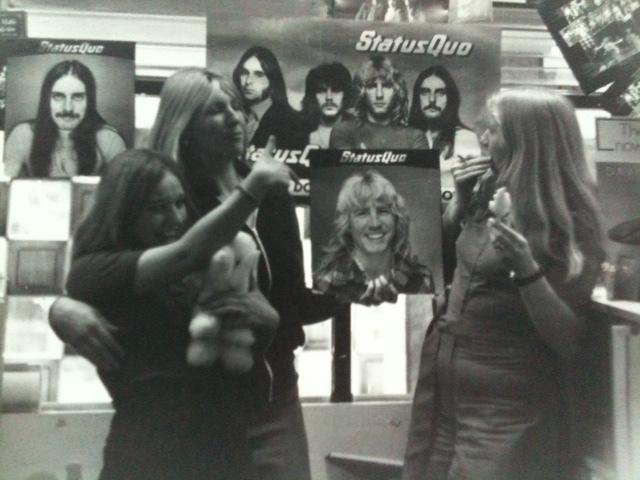 We got to meet so many famous people and went down to London on training courses at EMI . I worked there for 17 wonderful years my latter in Market street Bradford which was so amazing in the 70's I am so grateful for those wonderful years and working with and meeting such lovely people I will never forget those amazing vinyl years. Comment: Madeleine Ackroyd. Name Dave Shaw Comment: Vallances bought out a number of stores around Yorkshire. They bought a campany called Clay's in Mexborough. They also had a workshop there. I used to go on a Saturday and the Workshop Manager Eddie Smith used to teach me how to repair stuff. Eddie still has a little workshop in Mexborough (2017) Top bloke.